10-10:40: Jessica Dello Russo. 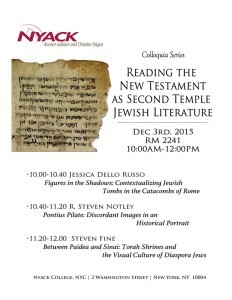 "Figures in the Shadows: Contextualizing Jewish Tombs in the Catacombs of Rome"
10:40-11:20: Steven Notley. "Pontius Pilate: Discordant Images in a Historical Portrait"
11:20-12:00: Steven Fine. 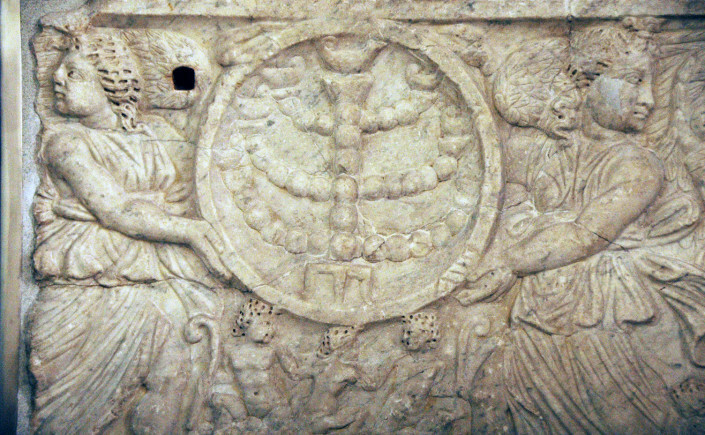 "Between Paidea and Sinai: Torah Shrines and the Visual Culture of Diaspora Jews"